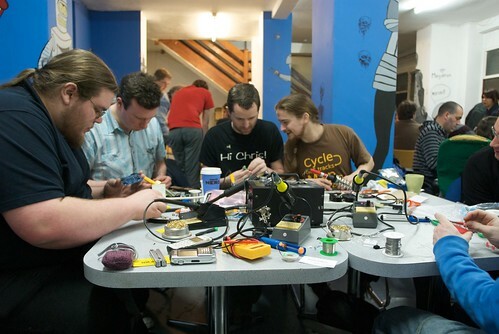 I recently connected with Hwa Young Jung from Manchester Digital Laboratory, a Manchester, UK based community space where members of the creative community can come together to meet, learn, and work. Hosted in 1000 sq. ft. Does your nonprofit or public library need better technology? Wish you had the latest version of that pricey software? Or sturdier hardware? Learn more about TechSoup's product donation program and how to get started with this free webinar. Join TechSoup, get registered, learn what it means to be qualified and eligible for different donation and discount programs, and start requesting donations. Net2 Recommends is a new monthly series of news and blog posts from around the web that the NetSquared team recommend. It is a round-up of items that caught our eye that we want to share with you. Over the years my family and I have worked together to help my Grandmother get wired. She now uses Google Search, reads her news online, sends and receives email, and even uses Facebook to check-in with family and friends. Using the internet isn't a new concept to my Grandmother, though it's not really something she finds very intuitive either. That said, she understands the power of these tools, and relishes the opportunity to learn more. My Grandmother also has a whole network of friends who are at various stages of computer use/online adoption. Recently, she asked me if I could share any resources for her and her friends to be able to network, learn and socialize on the internet. For the past two years, NetSquared membership has been growing in Cameroon. Today there are 5 groups in Cameroon and this Saturday they are hosting the first ever NetSquared Camp. Online event promotion sites can enable you to reach a much larger audience for practically nothing. These sites can be excellent traffic drivers to your site and enhance your search engine optimization to boot! Combine online event sites with social media and you've got more traffic, better visibility for your event, AND you can channel the energy of your friends, followers, and volunteers through social media sites to help get the word out! Below is the round-up of responses we received. Feel free to add your ideas in the comments section at the bottom of this page. The first in our series of six NetSquared Camps is next Saturday! This event, hosted in Douala, Cameroon, is free to attend and there is still time for you to register! Take a look at the info below and get involved! Ever combined the Web, World of Warcraft, Real Life, Second Life, Google Earth, Nintendo, Facebook, Moore's Law and the unfolding human experience into a single thought (which, perhaps, you then Twittered over your iPhone)? Do you dream of saving the world in 8-bit superhero style?